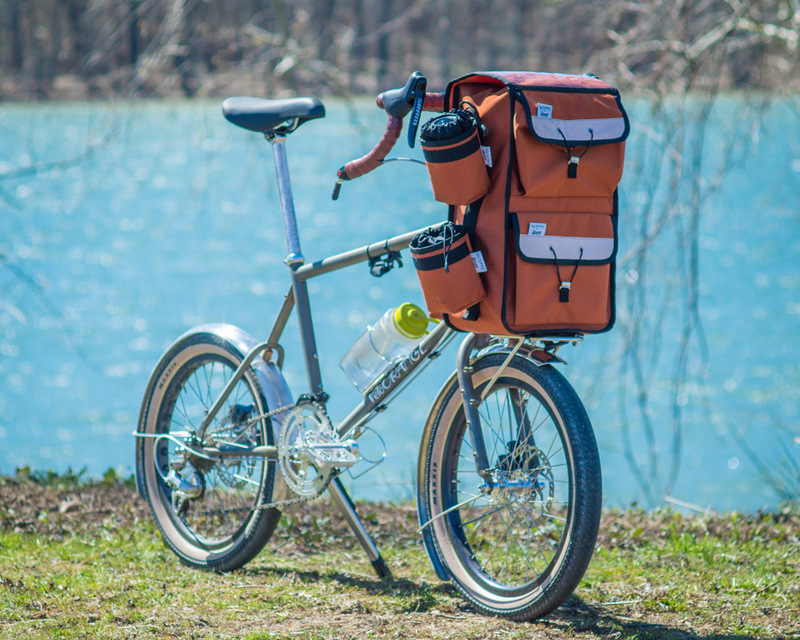 We're proud to introduce the new XXXXXXXXL Handlebar Bag specifically designed for the Neutrino and folks who are ridiculously tall. 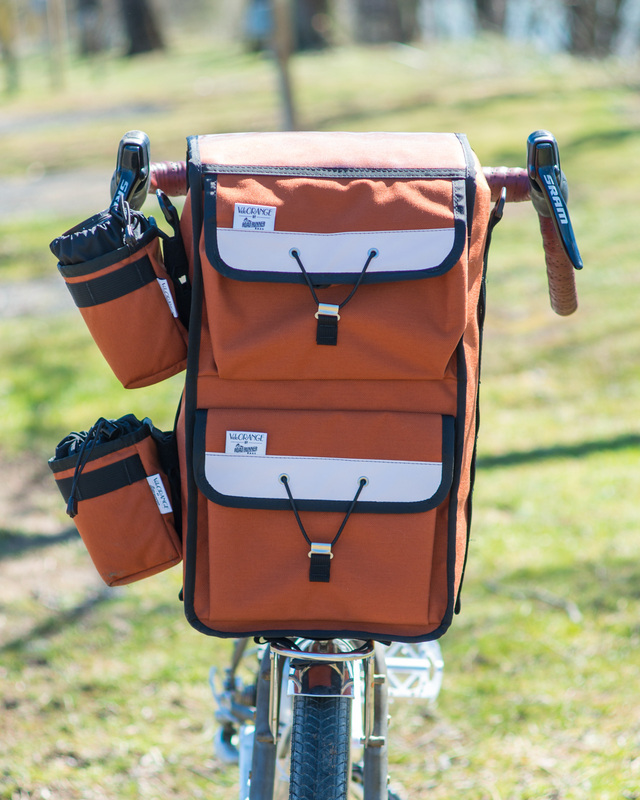 Have you ever lamented not being able to pack your favorite baguette, bag of charcoal, or gluttonously-sized popcorn sack into your handlebar bag? Well look no further! 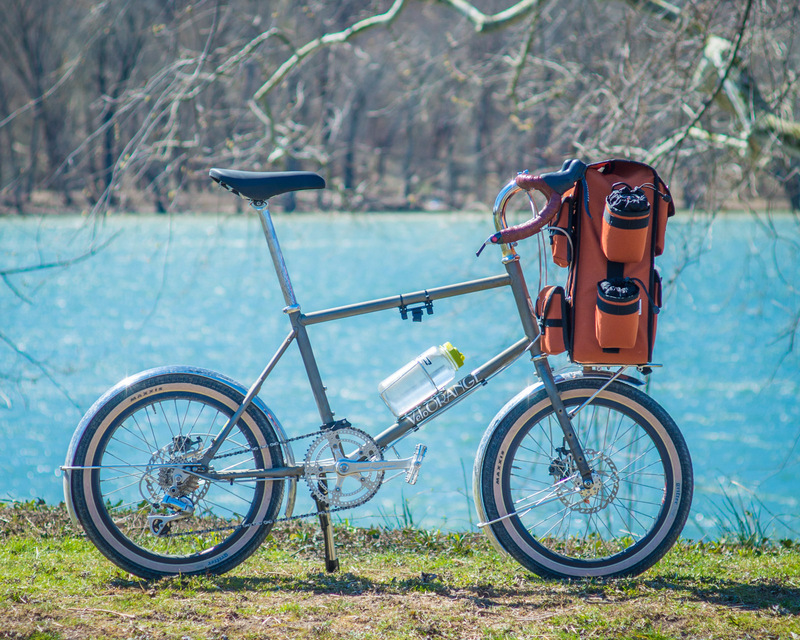 The keen minds at VO and RRB have teamed up to offer the tallest (19.5") handlebar bag to ever have existed. Seriously, we applied to Guinness World Records. Your family-sized bucket of cheeseballs is now easily within grasp during brevets. Your fellow riders will thank you for those little pickmeups of cheesy goodness. Here's our official promo video with all of the details, which showcases the versatility of our new offering. Like the guy in the video says, operators are standing by. I am surprised that you didn't also include a water bottle cage for gallon milk jugs on this April unveiling. I know this is an April Fool's, but there is a kernel of a good idea here? Also good for CostCo shopping runs! It's actually a pretty similar size to one of the front bags that can clip on a Brompton. Actually sell me one, please. Thank you for keeping the spirit of Sheldon Brown going. By the way, can you make that bag in leather? Maybe recycled old Ideale saddles? 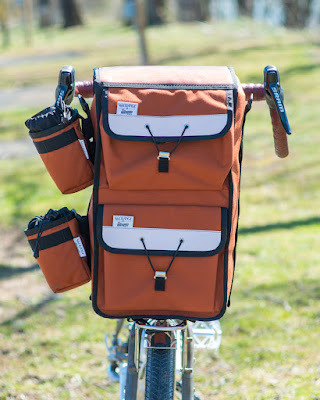 Coming soon XXXXXXXXL panniers and seat bags. Maybe next year. I think it needs to be tested in the VO wind tunnel. For aerodynamics. Bernie Mikkelsen (frame builder, NorCal) built himself a global tourer many years ago. 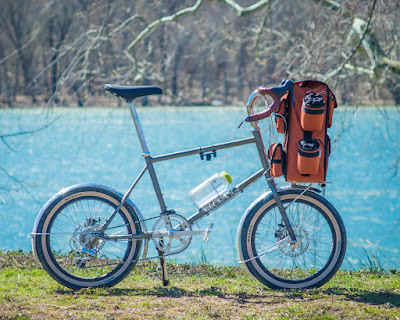 It has 20" wheels, and a rack in front to carry an external frame backpack. Doesn't look too different from this one! Truther than strange!